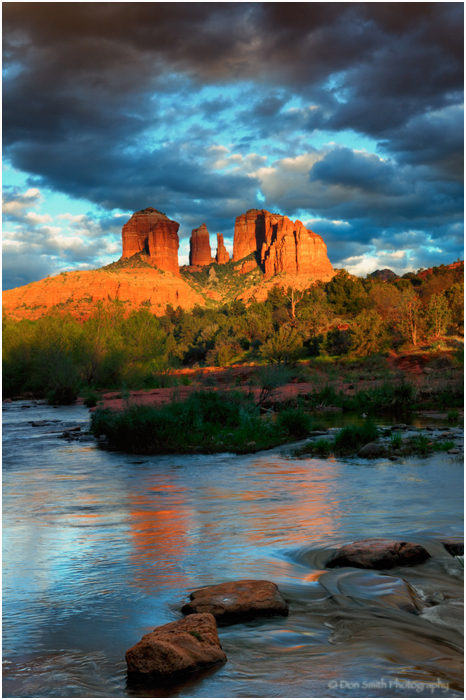 Don Smith (California, United States) on 3 May 2012 in Landscape & Rural. 4th Annual Arches/Canyonlands Photo Workshop - Moon Over Red Rock, Arches, and Canyons - October 27-31 2012 (6 spots left). 2nd Annual Bryce/Zion Photo Workshop - Bryce Canyon Hoodoos and Zion Fall Color - November 1-5, 2012 (space available). Thanks to our trusty Smart Phones, updated weather, tides, lunar phases and more are just a touch away! In my latest blog post, I discuss the importance of staying on top of the latest weather for the areas you plan to photograph. I also provide links to some of my favorite iPhone apps: Learning Some Weather Basics Can Improve Your Landscape Photography. breathtaking, certainly deserves a spotlight position, BRAVO! @Dimitrios: Thanks so much Dimitrios - hope all is well with you and your family! Stunning view with fabulous colors and gorgeous light !!! Great looking photo, I think you have a winner there. Vraiment des couleurs et une lumière parfaite. Absolutely beautiful! The light is spectacular. I like the dark clouds! @Elaine Hancock: Those dark clouds tend to be harder to get than it appears Elaine. First time in 5 years that it has timed out like this - but it was beautiful! amazing light and composition with a fantastic range of colour tones captured through the entire scene! @DarkElf: Thanks as always Dark Elf. Terrific complementary colors. Well done. @Jeff: Aloha Jeff - much appreciated!